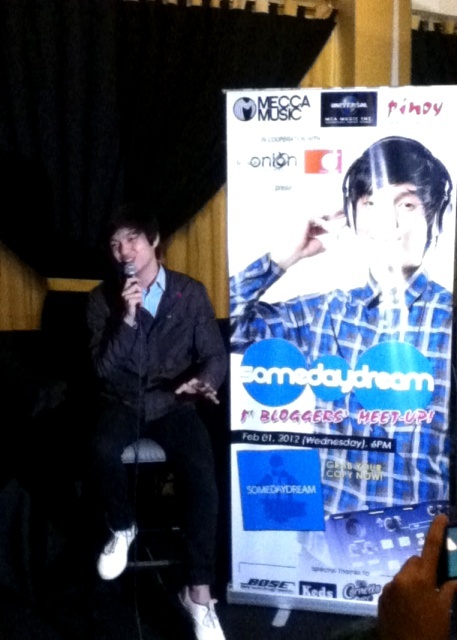 Someday Dream’s 1st Bloggers’ Meet-up was a success last February 01, 2012 at Blue Onion Bar in Eastwood. The event was made possible by Mecca Music, MCA Music & Pinoy Magazine in cooperation with Orange Magazine TV with Bose, Terranova, Keds & Selecta Cornetto as sponsors. I did not enlist my name as a blogger in the event. I knew there was an event even before it was promoted. I came there as a friend to support Champ Lui Pio, former Lead Vocalist of the band HALE and now founder of Mecca Music. I just don’t support someone or something I don’t have faith on. But definitely there must be something with Rez Toledo a.k.a. Someday Dream that Champ made him signed as 1st artist of his own label. And yes! He was right! This 21 year old Atenista is incredibly talented. Amazing vocals, He plays the organ & guitar, composes his own songs, mixing his own music to make it sound electronically cool and disarming. 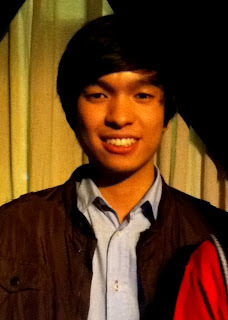 I have been introduced to Someday Dream many times, actually Rez is becoming to look like Champ already! Haha. Someday Dream’s hit single “Hey Daydreamer” that was recently used as a jingle by Selecta Cornetto got the #1 spot in Pinoy Myx Year End Countdown and Myx Hit Chart year ender edition. Also he was awarded by Yahoo Philippines as Breakthrough Artist & Icon of the Year and by RX 93.1 as OPM Artist of the Year and his “Hey Daydreamer” as Song of the Year. What an achievement already for someone who has just started recently. He has a long way to go and will surely be in places with Champ as his manager and mentor, the Dream Team, and the dreamers – his fan base. Together they make a great & unbeatable team. Hopefully I get to have a sit down interview with Someday Dream soon so you'll get to know him more. 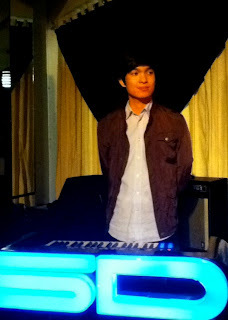 By the way, right after the event; Champ performed 2 songs wrapping the night with charm and smile.